We all agree that all children deserve and need safe, loving families. Supporters of the Children in Families First legislation make very clear that this is their unqualified position, the umbrella which supporters hold over themselves. Unfortunately, there are some serious holes in the fabric of that umbrella. The voices of many significant adoption groups are missing, especially those of adult adoptees. The voices of first/birth parents are missing completely. 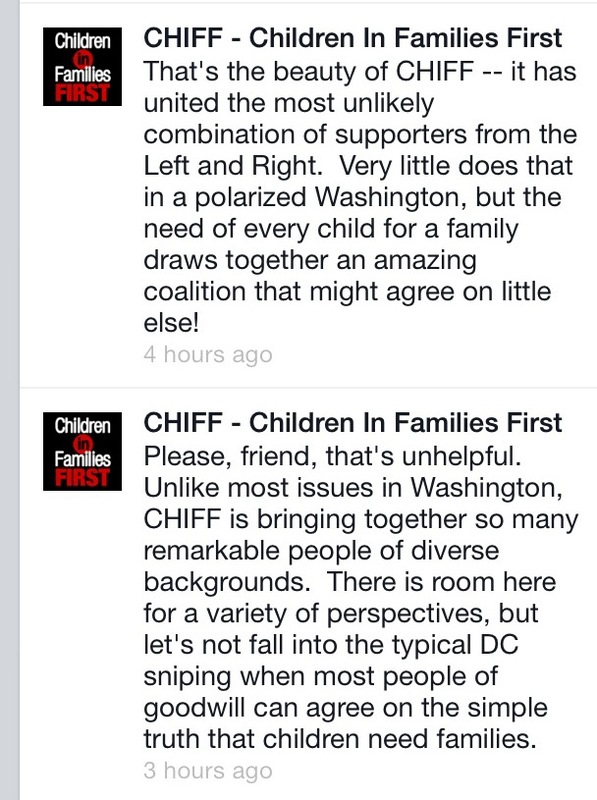 And now, CHIFF is okay with supporters who oppose allowing LGBT people to be adoptive parents. I’d guess that many of the adoption agencies and adoption attorneys who are CHIFF supporters have placed children with LGBT adoptive parents. No, I know they have. Thousands of LGBT people have adopted thousands of children (children who needed families) through the US foster care system and internationally. Good people. Also, thousands of straight parents have adopted (and given birth to) children who are LGBT. Good people. 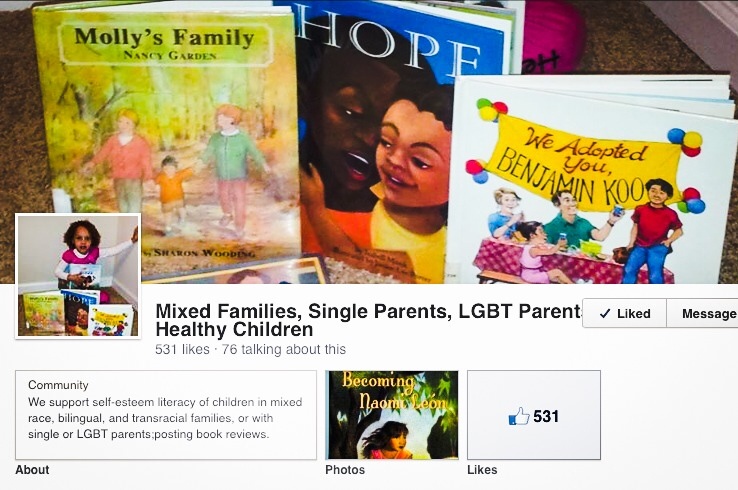 There are LGBT parents and LGBT adopted persons. 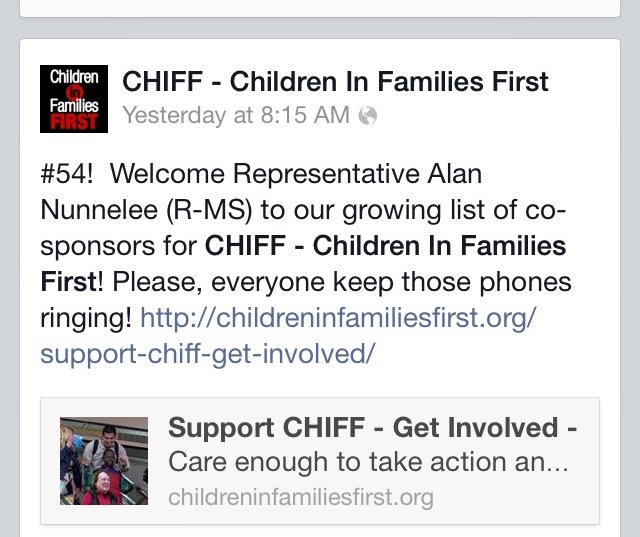 Children deserve and need families, right, CHIFF supporters? Today marks the first time I’ve had a comment deleted on Facebook. Why? Because I challenged the welcoming to CHIFF supporters of Rep. Alan Nunnelee, who is on record opposing gay marriage and adoption of children by LGBT parents. CHIFF admins would have us ignore these realities, and just keep smiling. Let us bring everyone under the umbrella of children and adoptive families and happy ever after. I’m a nice, straight, white adoptive parent of children (now adults in their 20’s) through private US and through international adoption, all transracial. I became the foster parent of a young woman when she was 16. I’d seem to be a good candidate to support CHIFF. My comment, though, was “unhelpful,” and has since been deleted. Censored, one might say, to avoid any semblance of a lack of unanimity and good fellowship. To cover over bigotry. I’m aware it was not so long ago, here in the US, that my family would have been illegal to create. That the first parents of my racially mixed children would have been criminals. 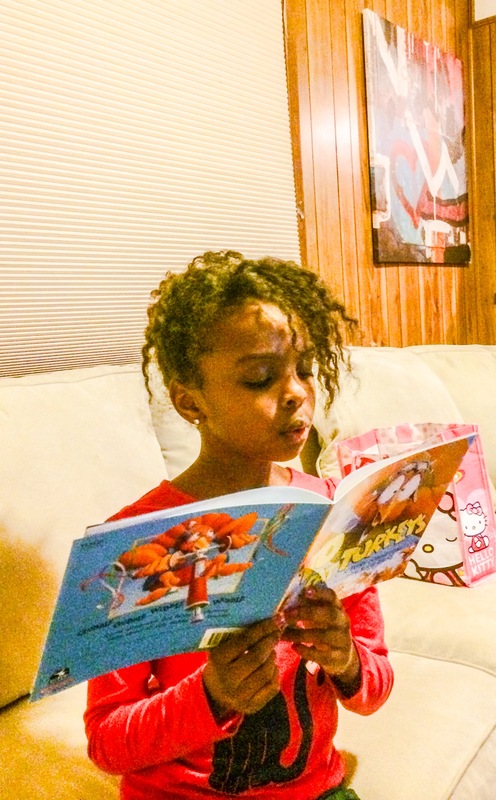 That my children could have legally been denied housing and education, and not marry people of other races. Enough. The condescension my remark elicited–and its subsequent deletion–mirrors perhaps what adult adoptees and first/birth parents receive when they question and push back on adoption policy. I have been on record opposing CHIFF since September 2013. I’ve made my opposition clear, and thought I’d stop writing about it. Yet here I am again. We all agree that children need families. That’s an excellent Talking Point, and it’s the umbrella that CHIFF supporters hold over themselves. The umbrella, friend, is leaking badly.